1. To build the museum embroidery studio, where will be operating a showroom and workshop to teach everyone of traditional embroidery techniques. This kind of studio will be the first in Ukraine. Conduct training with the youth of famous masters. Conducting master classes by world experts on Ukrainian embroidery intellectuals, teachers, labor training and embroidery of our land. Holding of exhibitions and expositions on the catwalk in the studio. 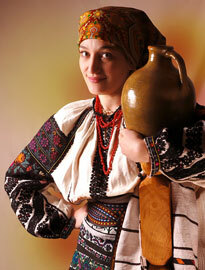 Mandatory attribute has become a permanent exhibitions and expositions of variables from all regions of Ukraine. 2. Now Ukrainian markets are flooded by the computer's "Chinese" design embroidery, which is very bad for Ukrainian culture. Accordingly, all disappear and sacred symbolism that put our ancestors in embroidery, self stithching each item and cross stitch or imposing duty on hemp cloth. This further encourages training and education of our youth of their traditional ethnic culture. 3. Only clean lake in Ternopil, Ivan Marchuk's Museum and masters - studio of Borshchiv embroidery - will attract the world community to enable Ternopil to European and world travel map. 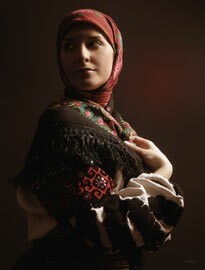 Vira Matkovska— known in the Ukrainian area and beyond it as a famour collector of Borshchiv national clothes. 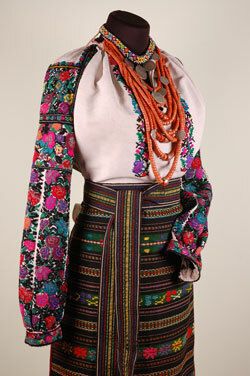 Now her collection consists of fifteen hundred women and men's embroidered shirts, zapasok, skirts, short, fur coats, bezrukavok. All these items of folk art both the past and present are of great historical value. 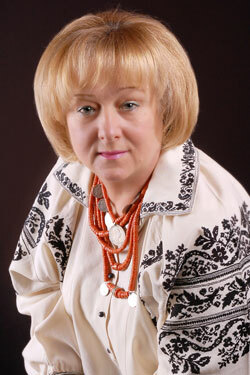 Vira G. Matkovska was born in Gaysynin, East Podillya, Vinnytsya region. As a child, on a family holiday or commemorative event collector with his sister wear shirts embroidered with his mother. 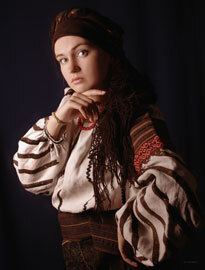 As a family relic keeps family Matkovsky embroidered vest ("gorsetyk"), which her mother bought back in 1950, resting in Morshyn. After graduating from high school, Vira joined the Kiev Institute of Technology. Recalls that while in 1970, youth was quite fashionable to wear some elements of folk clothes: shirts, jeans or keptaryky to skirts. She was wearing dress for the lectures. Especially "dandy" were those who had a thing with my grandmother's chest, but these were few. 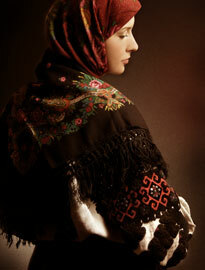 Most modern wear embroidered blouses or shirts. After graduation from the Institute Vira with her husband Anatoliy (who was also from Podillya, viz. from Kamyanets-Podilskyy by origin) received directions to work in the town of Borshchiv, Ternopil region. Right after arrival the young spouse got to a local art festival “Golden autumn” in Borschiv and, according to Vira, "ahnuly: a miracle they have not had to see. 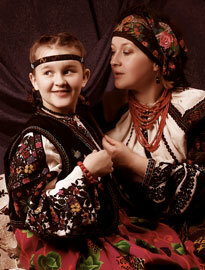 Amateur art collectives flaunted in traditional costume: not a village - their shirts, though the same, but so different! Faith embroidered herself, because it taught her mother and sister before, but Ternopillia mesmerized her. "That's when everything started," - she says when she asks how was the collector. Although not agree to apply this definition to yourself: "Well, what I collector. This is my mood, desires, my love, this is my world ...".